Benzini has been busy supplying its new and interesting precast concrete items, as well as bollards and signage panels to councils. Benzini Sandstone and Precast Concrete has been busy creating new and interesting precast concrete items for councils and landscapers. Already this year we have supplied bollards to Surfers Paradise and Sunshine Coast foreshore developments. 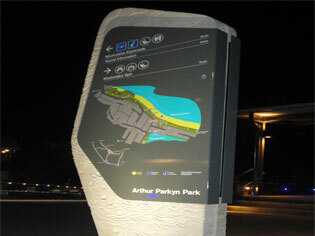 Benzini has also created moulding and precast ‘way-finding signage panels for the Sunshine Coast Regional Council. These are 2400mm high x 950mm wide and have a ‘seaside’ pebble and coral relief which we achieved by casting rubber moulds. 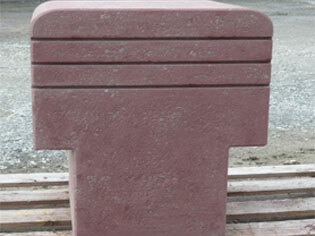 Street furniture for the Redcliffe Shorefront included some precast concrete Cube Seats. 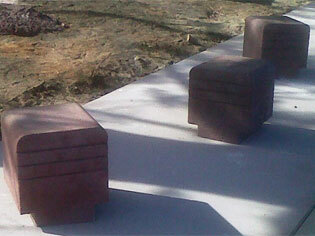 Working with Scape Shapes Landscaping, Benzini created the moulds and then cast over 20 seats. The finish was a bright colour with a shot-blast look to match other concreting elements within the new development. 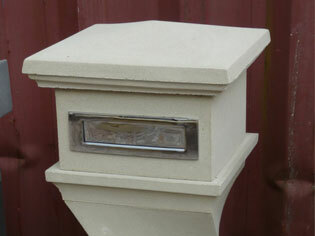 In addition to this concrete work, Benzini has also developed a new style of sandstone letterbox and water feature to add to our range. The new style is appropriately called ‘The Twist’.